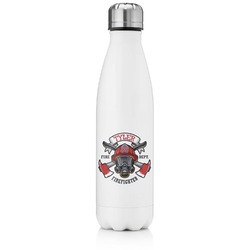 This tapered stainless steel water bottle is perfect for keeping your water extra cold when you're on the move. Holding 17oz this water bottle is great to take with you to the gym. Your water will easily stay cool within its double walls. 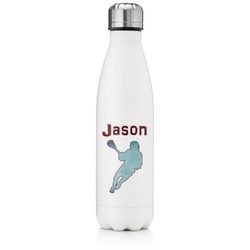 More than that, you can personalize it to help you stay motivated when you need a break during your workouts! Came in time for Christmas! My son loved it.. only problem was bottle had a few marks not real big but noticeable.